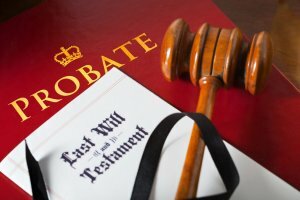 What is a Probate Bond in New Mexico? A probate bond is a type of fiduciary bond (also known as an executor’s bond) in a probate court estate. It is a New Mexico state court bond that is issued on the performance of an executor or administrator of an estate. The purpose of the bond is to protect the beneficiaries or creditors of the estate from harm caused by the malfeasance or negligence of the executor or administrator. In New Mexico, a probate court bond is issued to administrators, executors, conservators and guardians in probate estates. How Much does a Probate Bond Cost in New Mexico? The cost of a probate bond can vary widely depending on the amount of coverage that is required. It is based on the total amount of the estate, including any real estate, that the fiduciary has to oversee. The bond premiums are normally calculated at one-half of one percent (0.5%), which is equal to $500 for every $100,000 of estate assets. We work diligently to find the lowest premiums possible in the state of New Mexico. Please call us today at (913) 225-8501. We’ll find you the very best rate possible. How do I get a Estate Bond in New Mexico? We make it easy to get a probate bond. Just click here to get our New Mexico Probate Application. Fill it out and then email it and the New Mexico probate court documents to probate@swiftbonds.com or fax to 866-594-2771. You can also call us at 913-225-8501. We review each application for an executor bonds and then submit it to the surety that we believe will provide the best fidelity bond for your estate. They will perform a credit check. We have a high success rate in getting our clients probate estate bonds at the best rates possible. Why do I need a Bond? I mean, what is an example of Malfeasance? Let’s assume that your Uncle Larry was appointed as the administrator of your father’s estate. The estate consists of your family home, which is valued at $350,000. There are also several bank accounts worth several thousand dollars, a life insurance policy, two cars, a gun collection and plenty of sentimental items. Unfortunately, your uncle Larry has money issues and is going through a divorce. So, instead of fulfilling his duties to you and your family, he instead takes the life insurance proceeds, the gun collection and cleans out the bank accounts and leaves the country. How Does a Probate Bond Work in Court? You may notice that many Wills that are drafted by attorneys waive the requirement of the bond. However, if the court bond is not waived by the Will, then a probate fiduciary bond is needed. The only way to then get away without a bond will be if you 1) whether all heirs can agree to waive the bond requirement; 2) whether there are any debts outstanding; and 3) whether the judge will allow for the waiver of the bond. If you are unable to get an agreement by the heirs to waive the bond, then you will have to get a court fiduciary bond. If there are substantial unsecured debts, then you’ll have to get the executors bond. Usually a judge will agree to waiver the administrator bond requirement. The personal representative, executor or administrator of the estate, must qualify for a bond. Qualification depends on the representative’s net worth and creditworthiness. Personal representatives who do not qualify could still find a solution if their attorney maintains control over the estate account. What is a Court Bond in New Mexico and How do I Get One? Replevin Bonds – these guarantee that the property that was seized will remain in good condition and not disposed of or sold. It is a type of plaintiff’s bond. Click here for our Court Bond Application. See our New York probate bond page here.